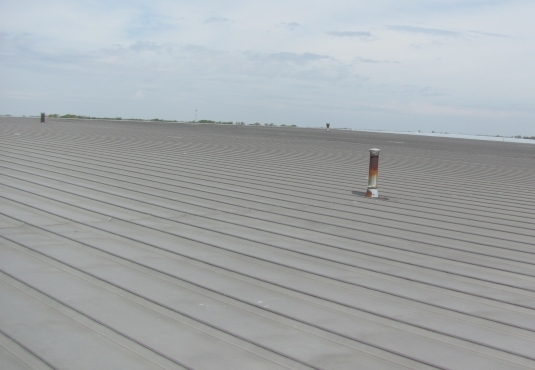 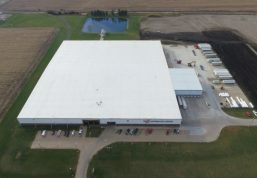 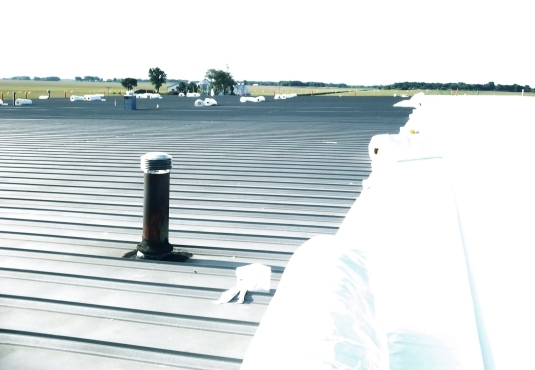 With the assistance of Riddell Roofing, Inc. the engineer at Growmark Inc. compared the Duro-Last Metal Retrofit system with that of new metal roofing for price and longevity. 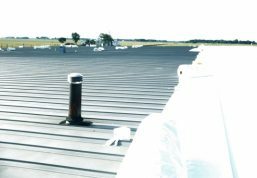 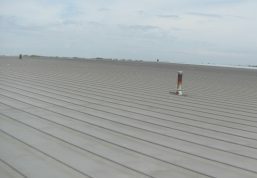 The Duro-Last Metal Retrofit system, including insulation, was one third the cost of a new metal roof. 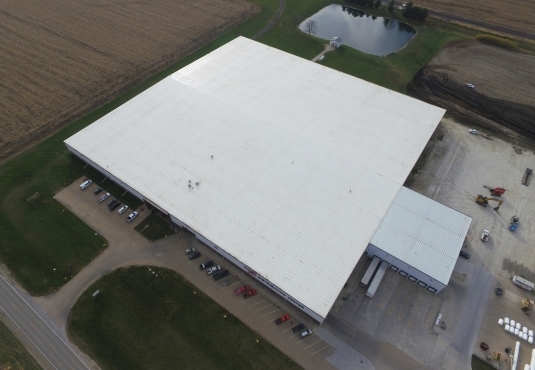 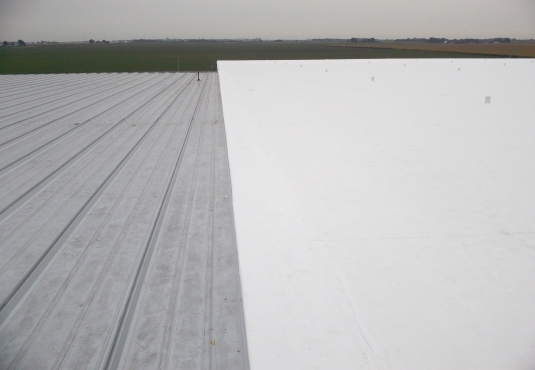 Riddell Roofing, Inc. of Aledo, IL brought this project to completion by installing 4.5″ of insulation for an R-Value of 21.5. 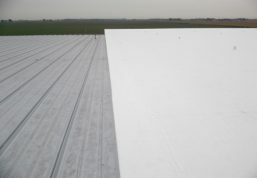 This building is heated in the winter and the white roof will help keep the building cooler in the summer. The images don’t do the size of the building justice as this roof actually covers about five acres of ground.